I was born and raised in La Mesa & graduated from Helix High School, Point Loma College and Bethel Seminary. I have loved the active outdoor lifestyle of living in San Diego-especially surfing. I became an avid surfer beginning when I was 12. My wife Linda (herself a native of Lakeside) & I have been married 36 years and have 3 sons. Although I was raised in a pastor’s home I fell away from God in High School and became an alcoholic. When I was 23 years old I had a very dramatic conversion and was called into ministry in that moment. 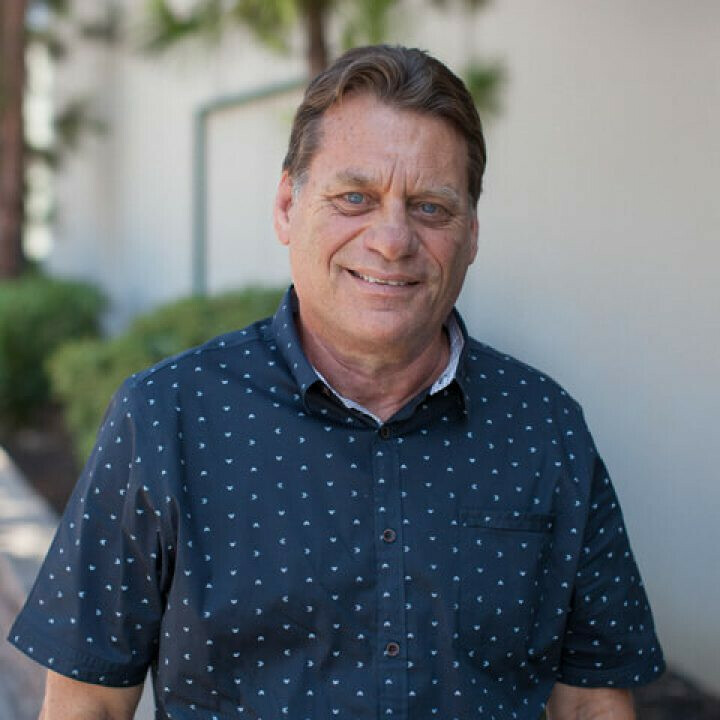 I’ve ministered 40 years as a youth pastor and then as lead pastor here in the east county and have developed deep roots, made many friends & witnessed the story of God’s work unfolding in this area. Thirty two years ago my brother Dave & I merged our two church plants together to form Foothills Christian Fellowship. Since then I’ve seen God’s mighty working in the lives of people from all walks of life- especially among the youth among whom God given us a rich mission field. I have a deep love for our east county region and for all the people who call it home. I am deeply grateful to serve the wonderful people and staff at Foothills Christian Church- but I am especially grateful for the unfailing love of my Lord and Savior Jesus Christ.